Free things just make a vacation so much better because you get to visit more attractions thanks to the money you saved. Our Pigeon Forge hotel with free breakfast is the best place for you and your family to stay on your next vacation. We have a free complimentary breakfast, great suites for you to stay in and so much more. Breakfast is the most important meal of the day, and if it’s free then that makes it that much better. All of our guests can enjoy all sorts of breakfast foods at our Pigeon Forge hotel. There will be cold cereal, a waffle maker, yogurt and all other kinds of food you would want for breakfast. Eating in the hotel is a great way to save money on breakfast because then you won’t have to deal with trying to be seated at a restaurant. Plus, it’s free. The money you save on eating breakfast can be used elsewhere on your vacation. You want your family to stay together, but you may not want to be all together in the same room. Our 2 bedroom hotel suites are an excellent idea, or our King-Queen loft room is another option for extra space. The additional bedroom will give you more privacy, and it will be cheaper than renting multiple hotel rooms. Your family can all stay in the same room while still having a bit more privacy. Our Pigeon Forge hotel with free breakfast has a lot more to offer visitors traveling to the area. We also have a pool and hot tub you can use during the warmer seasons, and thanks to our location you can visit many of the fun attractions in town by just walking out the door. Some restaurants that are just minutes from us are: Applewood Farmhouse Restaurant, Hard Rock Cafe, Little Tokyo and Bullfish Grill. Dollywood is also just a short drive away from us, and you can find a trolley that will take you there to help cut down on the cost of parking. We know you will enjoy your vacation at our Pigeon Forge hotel. We strive to provide a unique, family friendly experience that you will love and want to come back to. 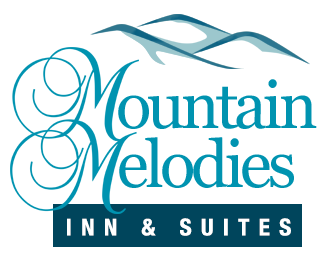 Our friendly staff, great amenities and clean rooms are just some of the things that makes our hotel so family friendly and a great place to stay in the Smokies. We know you will love staying with us at our Pigeon Forge hotel with free breakfast, and we can’t wait to have you! Check out our Pigeon Forge hotel rooms and start planning your vacation today.